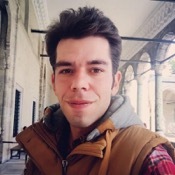 Experience Istanbul through the eyes of a local private guide! Browse our tour 'suggestions' - each can be customized just for you. Our Guides offer 144 unique (and customizable!) tours in Istanbul. When are you visiting? Experience an exciting private shore excursion in Istanbul with a friendly personal guide from ToursByLocals. You'll this incredibly diverse city with a guide who knows all of Istanbul as only locals do. Bridging the continents of Europe and Asia, your private shore excursion in Istanbul showcases a wealth of history and a vibrant urban culture. Sail the Bosphorus and see the beautiful palaces, fortresses and mosques of Istanbul on your private tour. Explore the bazaars (delightfully Turkish!) and museums that bear witness to Istanbul's central place in history. The Aya Sofya ("Hagia Sophia" in Greek), features Christian and Muslim marvels under one roof. Your personal guide from ToursByLocals invites you to choose from the private Istanbul shore excursions offered, but feel free to suggest alternatives. Your personal guide can customize your private tour to include exactly what you want to see and do. Citizens of most countries, staying less than 24 hours, require only a passport to enter Turkey. Please check with the Turkish Consulate in your country to confirm exact requirements.